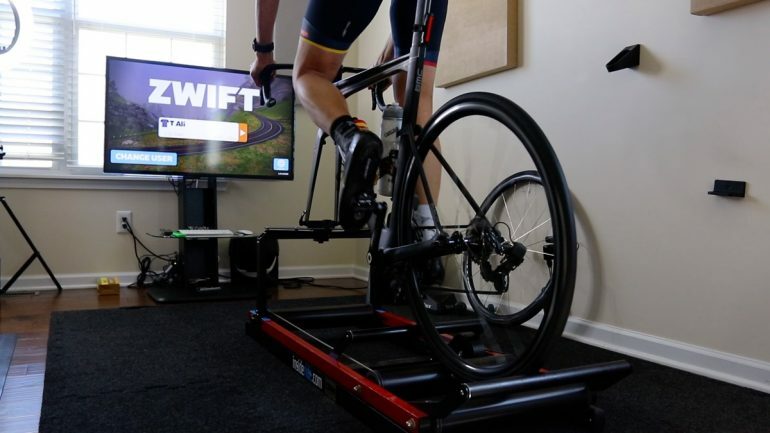 When riding your bike indoors, you have different options: a stationary bike, a bike trainer, rollers, or possibly a full bike treadmill if you can get your hands on one or afford one. With a bike trainer, your bike clamps onto a trainer and off you go. You don’t have to worry about falling off or balancing your bike. 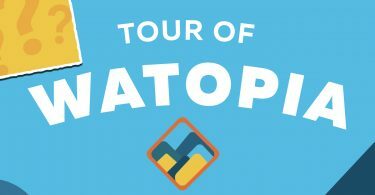 You can sprint, do hard intervals, browse social media on your phone, reply to text messages all without having to worry about falling off your bike. However, rollers require you to balance your bike on top of metal drums all while you pedal. If you get distracted even for a split second, you can end up on the floor. 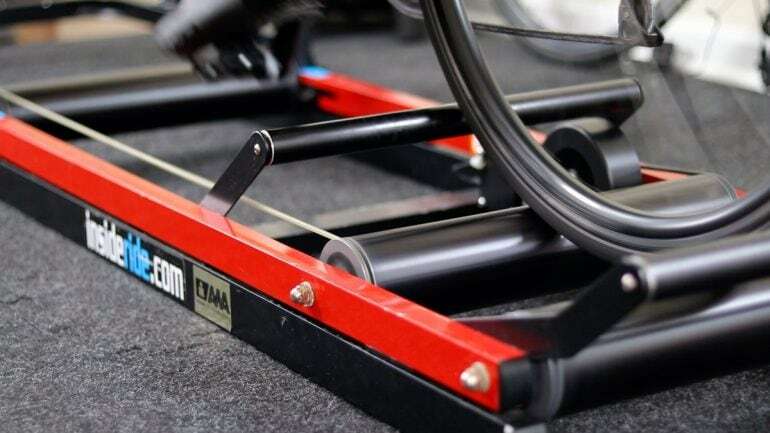 Rollers are looked at as a tool to help riders fine-tune their pedal stroke and balance. 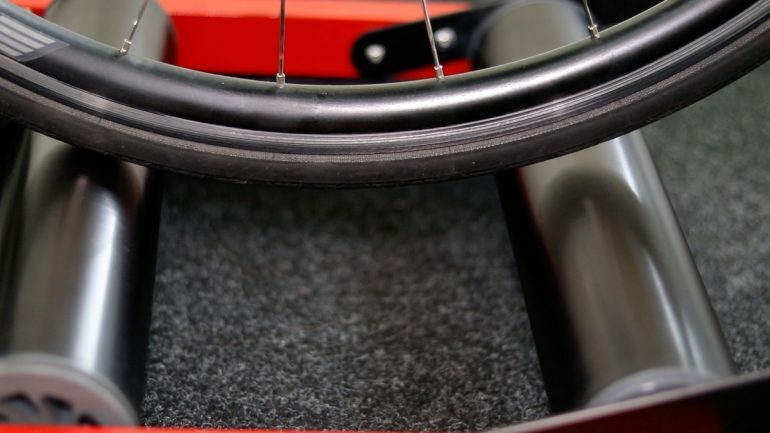 Also, rollers offer a much better road feel and you don’t have to worry about removing your wheels, changing cassettes, or using a specific trainer tire. 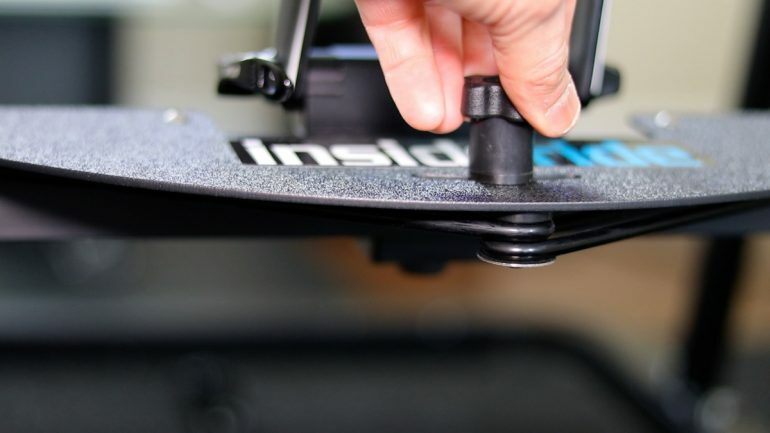 The InsideRide E-motion roller isn’t your standard roller. They are built and known for their motion technology and bumper wheels to prevent you from falling off. If you’ve never been on rollers, you will find the InsideRide E-motion a little easier to ride than traditional rollers and more comfortable than stationary bike trainers. As much as I love riding my E-motion roller, on some occasions I wished I had a fork stand during those very long rides or short sprint type intervals. Sometimes you just want to bury your thoughts and pain in mindless browsing on Instagram, possibly handle some work emails, or get into some kind of “friendly” conversation on Facebook or Twitter. I have learned to do all of that while riding with one hand or both hands but it can get a little ticky when you try to compose a long and coherent reply. A few years ago, InsideRide released a specific fork designed for the E-motion which I purchased and used once or twice then put it aside. A couple of years later, InsideRide made a floating fork stand. I was intrigued by the floating motion of the fork, but then reminded myself that I really like my E-motion roller just the way it is. InsideRide reached out to me and sent me the floating fork and their smart resistance unit and I’ve been using my Emotion roller with the floating fork for the past few weeks. It’s important to note that I have no relationship with InsideRide. This post and video aren’t sponsored by InsideRide and I have no affiliate relationship with them in any kind. Everything you read below is 100% my opinion and not influenced by InsideRide. There is nothing difficult or special about the installation process. You will find step-by-step instructions included with the fork. The floating fork will replace the front bumper wheels and should snap into the frame. You can use your front wheel quick release skewer to lock your front fork to the floating fork stand. 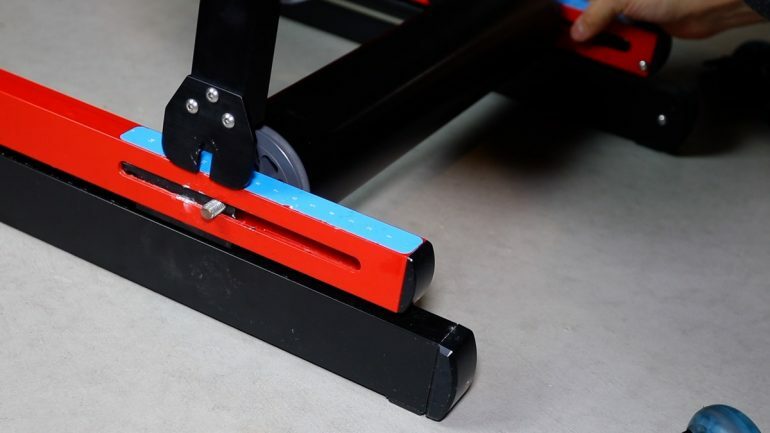 Make sure to recheck the position of the front drum by looking at how the rear wheel sits on the roller drums. The rear wheel should be touching both drums. 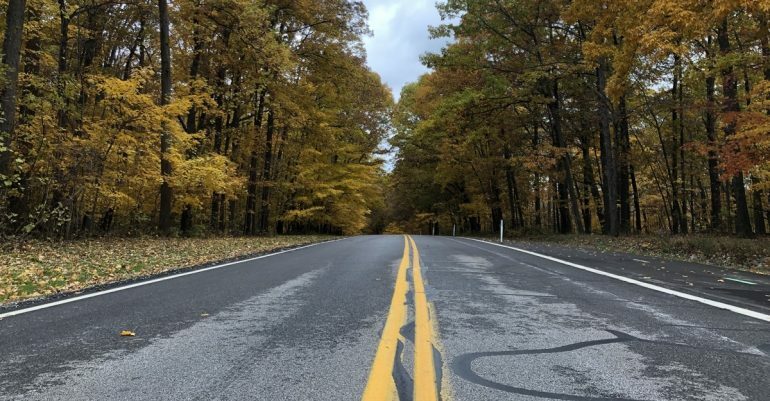 If it does not, you must adjust the position of the front roller drum and fork stand either forward or rearward until the rear wheel sits evenly between the rear drums. 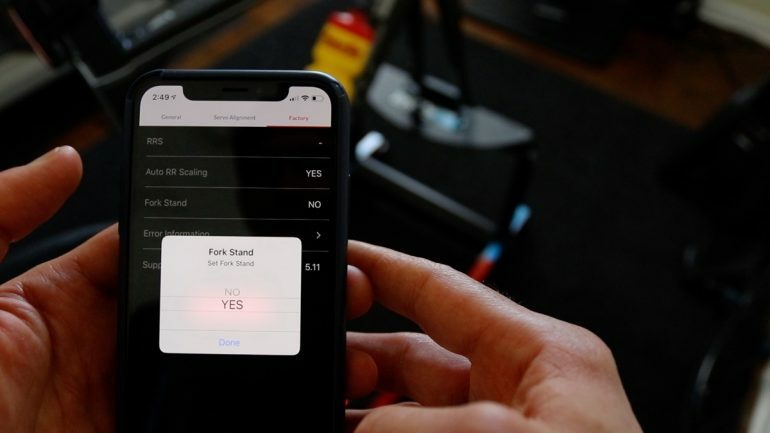 If you have the smart resistance unit, you need to login to the InsideRide app and turn on the front fork option. The floating front fork is designed exclusively for the E-motion roller and will not fit to any other type of roller or trainer. Unlike a fixed fork, this floating fork design allows the bike and the rear wheel to move and tilt freely side-to-side. It also has a locking feature which can be used if you choose to disable the floating action. The hand knob on top controls the locking mechanism. To unlock it, simply loosen the hand knob about one full turn. When you first get on the bike, you will need to hold on to the handlebars to keep the bike standing. It might feel a little awkward at first but you will get used to it quickly. Just hold-on firmly to the handlebars when getting on and off. Unlike a wheel-on or a direct drive trainer, you still need to engage your core and upper body strength to control the handlebars and balance to ride. When you ride outside, your bike is constantly tilting side to side and constantly steering. That’s what keeps the bike upright, not the gyroscopic effect as many might think. That’s why it’s almost impossible to ride straight on the white or yellow line painted on the road. When you ride rollers, you are basically doing the same motion. The floating fork will allow the bike to keep that same motion and tilt side to side and steer the same way you do when you ride outside. 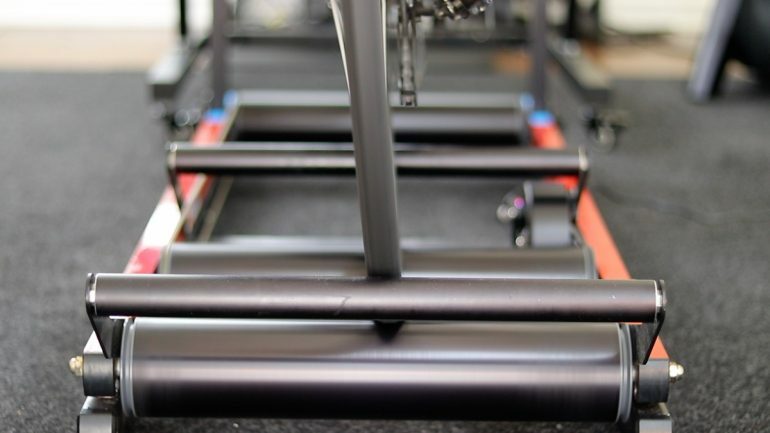 As you ride on the E-motion, your bike will tilt side to side with each pedal stroke. As long as you are in balance, practically no steering pressure will be needed. As you pedal faster and increase power, the force of your hip movement will naturally increase the rocking motion. 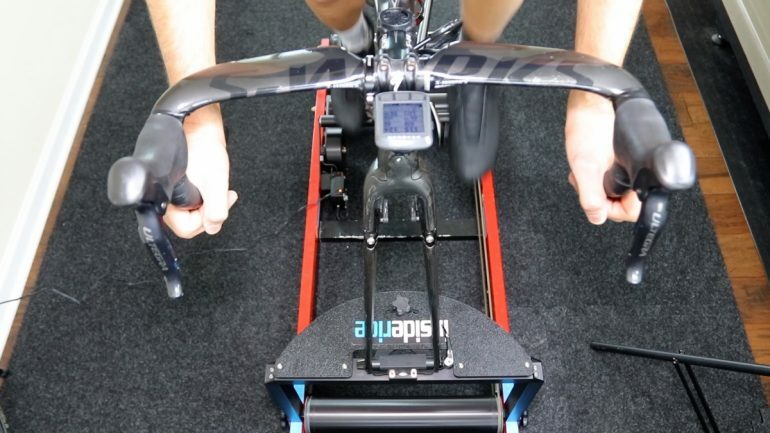 You will also find that as you pedal harder as in sprinting or climbing, the side to side rocking motion will increase along with more exaggerated steering motion. When I first got on the rollers, it felt a little awkward. However, the more time I spent on it, the more natural it started to feel. When we ride outside, we don’t think how the bike is balanced and which way it should tilt. Everything is automatic and feels natural. This natural feeling seems to disappear for most when riding indoors. For whatever reason, the brain thinks differently when we are inside and we put some effort thinking about how to ride the bike. Generally, it isn’t a problem when you are seated but as soon as you get out of the saddle for climbing or sprinting everything start to feel awkward. I have been there myself until I watched a video I realized I was riding the wrong way. Add resistance. If you get out of the saddle without applying enough resistance it will feel very awkward. Engage your core. Stationary trainers tend to discourage the use of the upper body and core. With rollers and the Floating fork, you need to engage your core and upper body strength. Opposing forces. This is where most do it wrong (myself included). Standing on the pedal rellies on opposing forces of the arms and legs. If you are pushing down with the left leg, pull up with the left arm (or push down with the right arm). Same applies when riding rollers and the floating fork. Watch a video of yourself when getting out of the saddle when riding outside or if you don’t have one, here is a good video to see how sprinting is done outside. At first, I was very skeptical. I didn’t like a fork attached to my E-motion roller in the past and didn’t think this will change my opinion. After a few rides, I found myself enjoying the floating fork. My bike was still moving freely under me and tilting side to side. I found myself getting almost the same benefits and comfort I get from riding the rollers without the fork stand at the same time, I am able to concentrate more on the workout and multitask if I want to without having to worry about falling off. 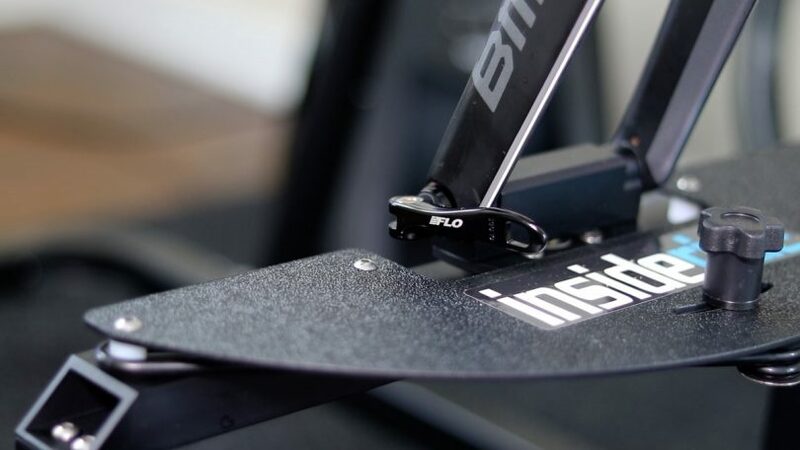 Trainer companies have been working hard trying to bring the outdoor ride feel indoors with bigger flywheels, road-feel simulation as with the Tacx NEO, simulating hills as with the KICKR Climb or DIY Rocker plates to simulate the tilting and rocking motion for better ride feel and more comfort. I have always been a big fan of the E-motion roller and have been recommending it for many years. 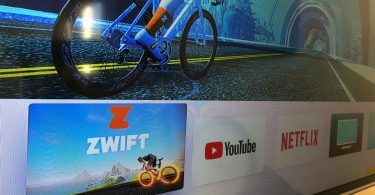 However, with the latest advancements we’ve seen with smart bike trainers, my E-motion ended up collecting dust for the past couple of years. However, with their new smart control unit (full review coming soon), and floating fork, I’ve been really enjoying the E-motion roller all over again. I have since left the floating fork attached to my E-motion roller and most likely will keep it on. 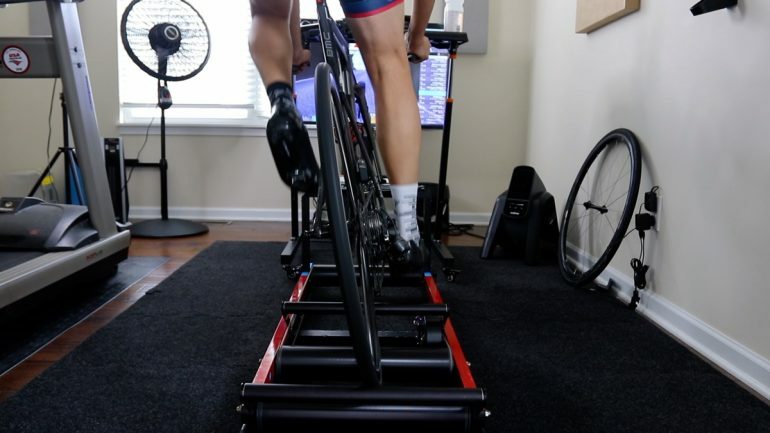 So could this be a good and a better alternative to rocker plates or full big bulky and expensive bike treadmills like the Tacx Magnum? The floating fork stand is priced at $199 USD and you can purchase one directly from InsideRide website. Good stuff. Looking forward to your review of the smart resistance unit.